Guest Post: Social Actions Roundup #15 – Change Marches On! The desire for “change” was one of the biggest themes for this past US election — captivating millions to get involved, break fund raising records, and vote for a new president. 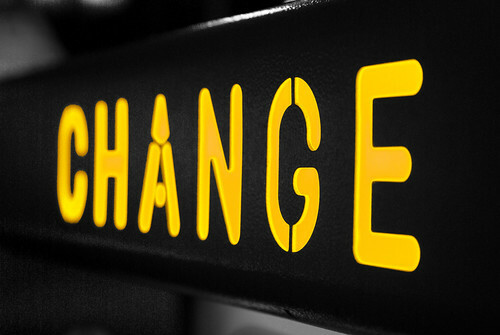 Now that the election is over – “Change” has been given a much bigger place in our culture and I predict that this will re-energize (and possibly transform) the work of activists, nonprofit leaders, and social entrepeneurs. Brokekid.net: Scott Stadum of Idealist used the Nonprofit page on AllTop + PostRank & Feedburner to create a consolidated feed of relevant and popular updated nonprofit news from 40+ websites. Read more about it here. Social Butterfly: The Cool Factor About Mobile – Alexandra Rampay does an excellent job covering case studies on how mobile phone are being used for fund raising. Have you seen the “Do Lectures“? DonorsChoose.org announces winners and final wrap-up to their 2008 Donors Choose Blogger Challenge – During the month of October, over 150 bloggers inspired their readers to give over $270,000 in classroom projects, reaching over 65,000 public school students! Pop!Tech launches the Pop!Tech Hub network – “a place where like-minded thinkers and doers can join virtual forces to promote good in the world.” Read their launch post here. Have you been following the FORGE saga? Start with a background here. Social Actions is preparing a site re-launch – Get ready for a new look and feel next week! In late-October, Social Actions hosted a lunch for partners and friends in the Bay Area. You can watch a video of the presentation Peter Deitz gave about Social Actions here. You can also watch the video or read a transcription of the question and answer session that followed Peter Deitz’s presentation here. Social Actions also published the Twitter Action Pack – A Directory of Cause Channels on Twitter. What are Social Actions Roundups? Each week, Social Actions community members post links and news about online social activism – This round-up is a summary of the links that surfaced in the last 7 days. You can now share links and news for future Social Actions rounds ups in the Peer-to-Peer Social Change FriendFeed Room. Check out past roundups here. New: You can tag your delicious bookmarks with “p2pchange” or include “#p2pchange” in your tweets – for inclusion in future Social Action Roundups. Social Actions roundups are also syndicated on CauseWired, TakePart, and NetSquared.